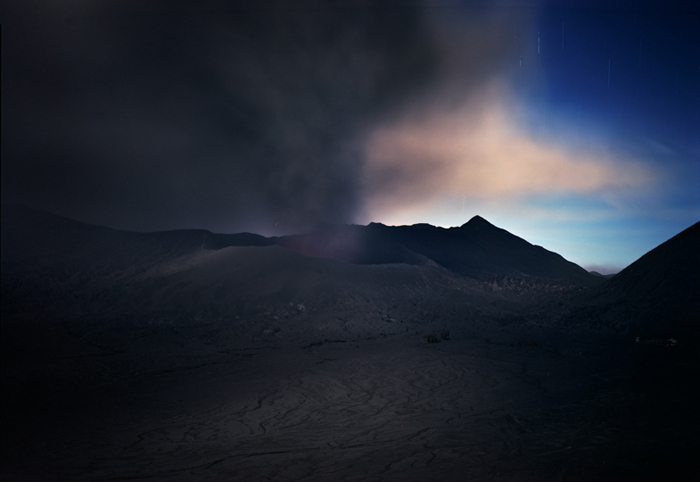 Rubenstein’s newest work, Heaven Turned on Its Side (2007– ), looks at ecological processes across time that either reinforce or destroy the notion of Eden. It focuses on intersections of nature and culture in relation to ecological and social imbalance. Composed of three parts, Heaven Turned on Its Side is not presented as a timeline but as a natural cycle of life, death and rebirth where human beings and nature are deeply connected and exist in true symbiosis. The three parts are Photosynthesis, The Volcano Cycle, and Eden in Iraq. 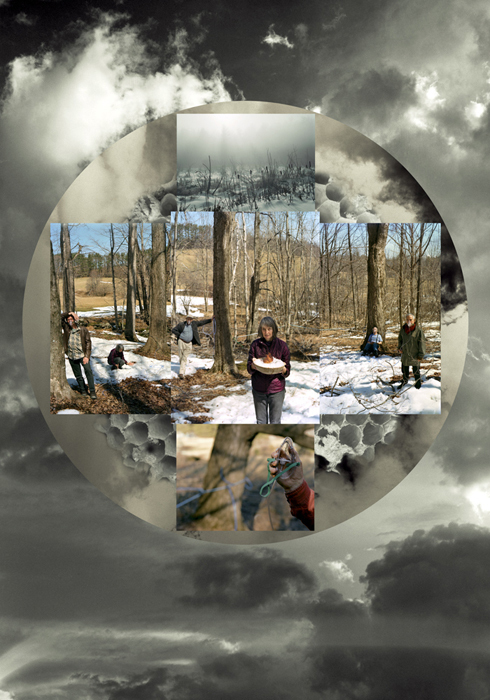 The first part Photo-Synthesis includes images of trees and people exchanging oxygen and carbon dioxide throughout the seasons, in a post-Edenic and threatened relationship. 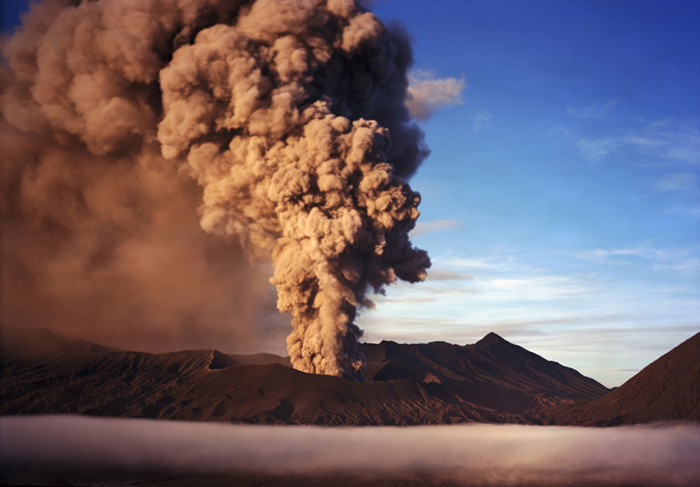 The Volcano Cycle explores deep time with images of volcanoes from Indonesia’s Ring of Fire that evoke earth, climate change and human co-evolution. The third part, Eden in Iraq, is set in the marshes of Southern Iraq, a site said to be near the original Eden. It also features new Adam and Eve in the new Eden that aims to transform relics of war and destruction into art. Here Meridel is co-designing an artwork that is a wastewater garden/memorial site. Heaven Turned on Its Side is an invitation to meditate on the mysterious cycle of life. The photo-making and the renderings proceed from Meridel’s spiritual research. As she explains: “I had some older images of clouds and scanned one to use. I drew a circle and then tried changing the interior space into a negative image. Instantly heaven and earth conjoined. 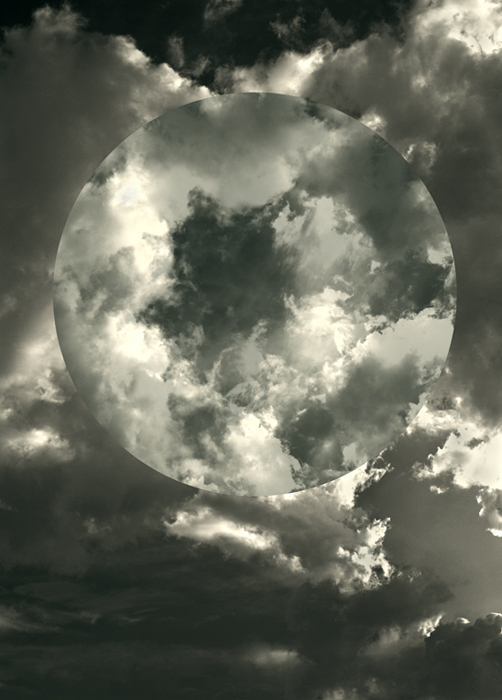 Then I made my first mandala/cloud circle extended image." 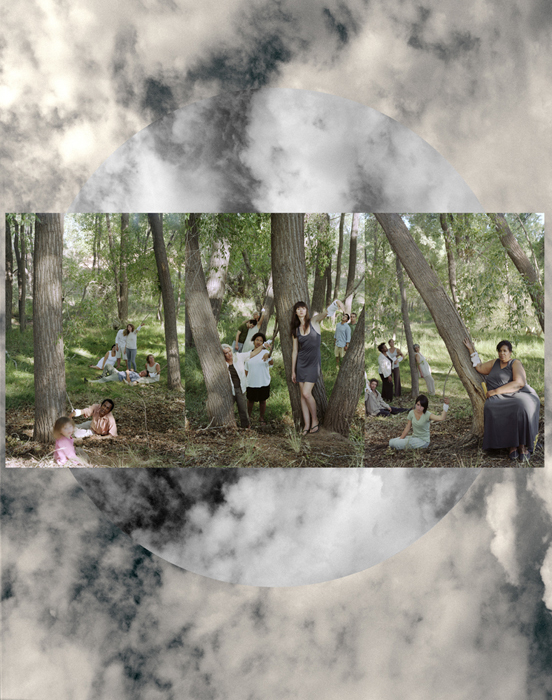 Meridel composes some of her photographs as mandalas, which means “circle” in Sanskrit. In various spiritual traditions, mandalas are used by adepts for focusing attention, as a spiritual teaching tool, and an aid to meditation. Excerpt from Essay by Patricia Levasseur de la Motte, France/Singapore Assistant Curator for Photography and New Media at the Singapore Art Museum (2007-11). She is presently an Independent Curator, working on The Philanthropic Museum, an on-line database project dedicated to photography and new media art. Meridel Rubenstein currently splits her time living and working in New Mexico and Singapore. To view more of Ms. Rubenstein's work, please visit her website.